Rarely is anything in marketing fast, easy, or convenient. For any given project, you’re compiling data and KPIs, assessing UX, scoring leads, tweaking SEO, tightening up your calls to action, and more. Oftentimes, it feels like you’re cooking up a five-course dinner when you wish the process was more like instant ramen. It’s the same for persona creation – traditional methods are expensive and time-consuming because they include countless hours of quantitative and qualitative market research, analysis, brainstorming, and more. Creating personas, however, is a strategic marketing activity you can simplify when in a pinch. In fact, we’ve developed what we like to call the Easy Bake Oven of Marketing Persona Creation. It’s a straightforward way to create effective marketing personas – and, yes, it’s as easy as gathering your ingredients, giving everything a quick stir, and popping it in the oven. 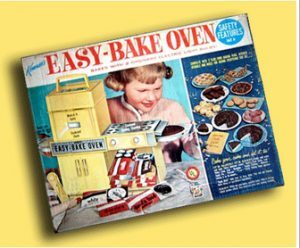 If you’re short on time, or budget – or both – you can use the Easy Bake Oven method to whip up personas without being forced to invest considerable time or money. Stereotypes tend to get a bad rap in other contexts, but they’re the key ingredient to quick and easy persona creation. To zero in on a client stereotype, identify the existing clients that are similar to the prospects with whom you will be communicating. For example, if your ideal client is a medical private practice owner, assess your existing clients and identify a specific person who fits this bill. Document their most prominent traits and focus on those that they have in common with other private practice owners. What job does he have? How long has he worked in the field? How much knowledge does he have about your product or service’s industry? What is his role in the buying process? How much decision-making authority does he have? What are his related interests? Feel free to really dig into the question part of the process and add any that may be relevant to your client base or target market; the more details you know about your example client, the more targeted you can make your content. Once you’ve listed all the details, use them to build a biography of your persona. Try to keep your stereotyping in the sweet spot, though. You want to gain a detailed summary of your target audience at large. If your stereotypes are too broad, you won’t tap into your target audience because your messaging will end up too generalized. Conversely, if you narrow it down too much, you’ll isolate (and lose) some of your target audience. Now that you have your ideal client persona, start thinking in his language. Just as programmers and developers have their own “geek speak,” each industry uses jargon of its own. This language is what separates the insiders from the outsiders and your target audience will look at it to determine whether you’re a credible, relevant source of information and help. If you want your target audience to trust you, you need to be one of them. This concept doesn’t just apply to the words you choose. It also applies to the topics you choose to talk about and the media format you choose to put them in. Each industry – and each role within that industry – comes with its own set of pain points, daily gripes, questions, and priorities. If you can tap into these, it will be easier for you to connect with your target audience. A college administrator, for example, will have different concerns than an assistant professor, even though they work in the same field. Which is most important for the persona: cost, time, convenience, dependability? What are the most common gripes and challenges for those in the persona’s industry, and his role within the industry? What information would the persona find relevant and valuable? What frustrations does the persona strive to overcome? What goals does he want to meet? Repeat steps 1 and 2 until you’ve developed a persona to match each ideal client you want to target. Keep in mind, though, that your workload increases exponentially the more you segment because there isn’t much economy of scale for content creation. If you want to send custom content to three segments, you’ll need three different nurture campaigns. Six segments will require six, and so on. So only segment as much as is required to make your nurture campaign effective. This will help you maintain both a manageable workload and a reasonable marketing automation budget. To determine how much to segment, think about the motivation of each lead. If you have leads with drastically different motivations, it’s worth segmenting them because you’ll see better results. A CFO, for example, is more likely to respond to a financially-driven value proposition, whereas a Director of Marketing may be more inclined to respond to a featured-based value proposition. Now that you have personas, you have the backbone of your marketing automation program. Personas can help you identify and divide leads and prospects into manageable groups. These groups can then be targeted with different nurture campaigns and personalized content to help them progress through the sales funnel and eventually convert to paying customers. Once you start sending highly relevant content through a nurture campaign instead of just using a general email marketing strategy, you should start seeing increased lead progression rates and sales qualified lead volume. And your sales team, of course, will start closing more sales because they’ll be reaching out to prospects who have been prepared by marketing with communications tailored especially for them, not just a generic audience. In other words, leveraging your personas correctly can help you see some serious marketing automation ROI. The bottom line: If you’re talking to everyone, you’re not talking to anyone. This is one of the oldest rules in advertising, and it 100% applies to digital marketing and, more specifically, your automated nurture marketing program program. Sometimes you don’t need a big budget to succeed in persona creation; you just need to know our time-saving Easy Bake Oven method. ABOUT HYPERX: WE’RE THE MARKETING EXPERTS. WE’VE BEEN LEADING THE INDUSTRY IN MARKETING AUTOMATION AND CONTENT MARKETING SINCE THE INTERNET FIRST HIT HOUSEHOLDS. WE’VE OUTLIVED ALL THE OTHER AGENCIES BECAUSE WE’RE THE BEST AT WHAT WE DO. WE CAN HELP YOU IMPROVE YOUR MARKETING AUTOMATION PROGRAM WITHOUT BLOWING UP YOUR BUDGET.